A New Hampshire woman with advanced lung cancer filed a lawsuit against the state health commissioner Thursday in hopes of getting a medical marijuana identification card before dispensaries are opened. 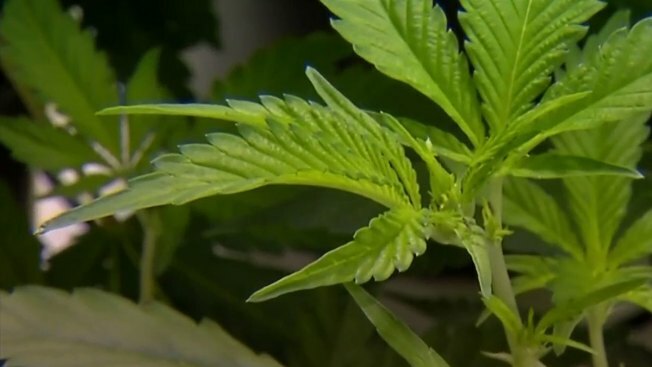 Under a state law passed more than two years ago, people suffering from a limited number of diseases and medical conditions can purchase marijuana with approval from their doctors. The Department of Health and Human Services started accepting applications this week from potentially qualifying patients and their caregivers, but identification cards won't be issued until the Alternative Treatment Centers get authorization to start dispensing marijuana. Four centers are expected to open early next year, but Linda Horan, of Alstead, wants her card now so she can obtain marijuana in Maine, which serves patients who have registry cards in their home states. Horan, who filed her lawsuit in Merrimack County Superior Court, was diagnosed in July with late-stage lung cancer. She said she and other seriously ill people are suffering every day they go without the cards. According to her lawsuit, all five of her doctors have determined she qualifies for medical marijuana to help with anxiety, lack of sleep and nausea that has led to her weight dropping to under 100 pounds. "This is my final crusade," said Horan, a retired telephone company worker and longtime labor activist. "I'm asking them to provide compassion and care and do the right thing: make medical marijuana available to patients who qualify and who will benefit." According to her lawyer, Horan would initially try to ingest the marijuana via a vaporizer that is less harmful than if it's smoked, but because of her lung cancer, she would likely take it via edible pot products. Horan argues in the lawsuit that nothing in the law mandates registry cards to be withheld until dispensaries are open and that the department's administrative rules require applications to be processed within 15 days. "What we have here is someone who spent her whole life fighting for justice and dignity for working people, and she's at a point in her life where she's suffering from a debilitating disease, and should have access to medical marijuana as the state Legislature decided would be the policy in New Hampshire two and a half years ago," said state Rep. Renny Cushing, one of the sponsors of the 2013 law. "It's outrageous that at this point in time, 28 months after the legislation was passed, not a single card has been issued by the Department of Health and Human Services." The Department of Health and Human Services did not immediately respond to a request for comment on the lawsuit.